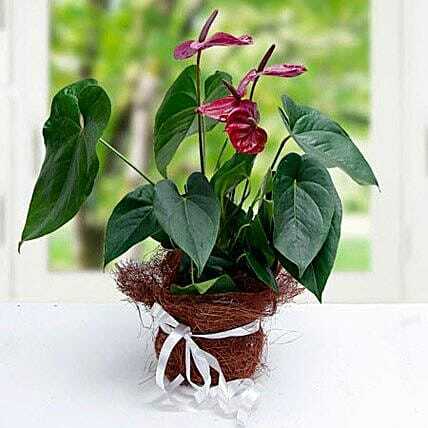 Spread warmth and happiness in a splendid way with this Purple Anthurium plant with brown jute mat. Send wishes for the good fortune and luck along with positive outcomes to that someone special with this exquisite plant that they will surely treasure for a lifetime. Really an amazing home decor item for anyone.